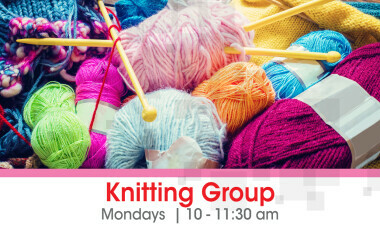 Come and learn to knit, while making new friends and practicing your English skills! Supplies are provided for you to learn and to participate in group projects. Experienced knitters are also welcome to bring your own projects and join in the fun! Children's Program provided on a first-come, first-served basis, for preschool children only.